I am a Harry Potter fan. It's true. So here is my newest project. 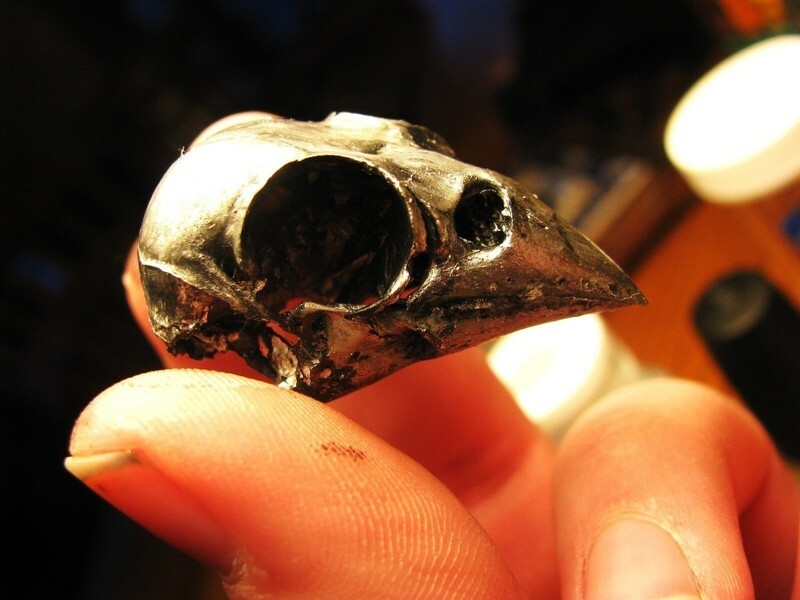 I found small bird's skull in the garden, and this project popped to mind. I won't give you the full description of how you need to ckean and prepare a skull before you can use it, because the perfect instructions are at this site http://www.skullsite.co.uk/preparation.htm YOU MUST FOLLOW THESE!! the other option is to buy a plastic skull or an already cleaned one. 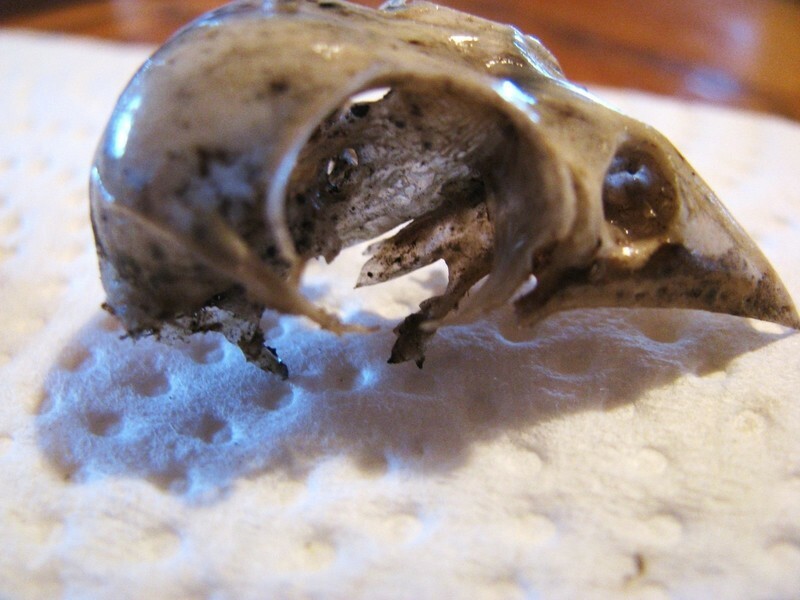 After it's all clean and lovely, take your bottom coat nail polish and paint the skull. 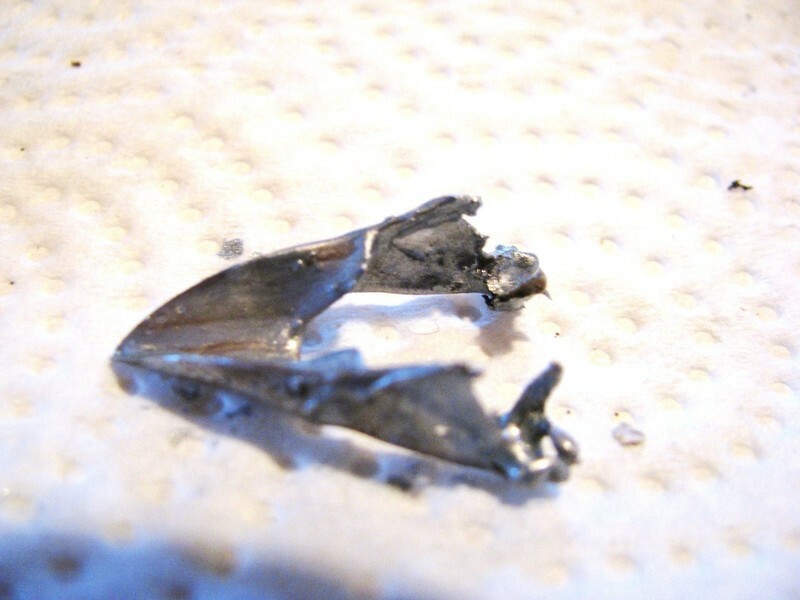 (When I cleaned mine the nottom jaw fell off, don't worry about it if yours did too, I cover that later.) 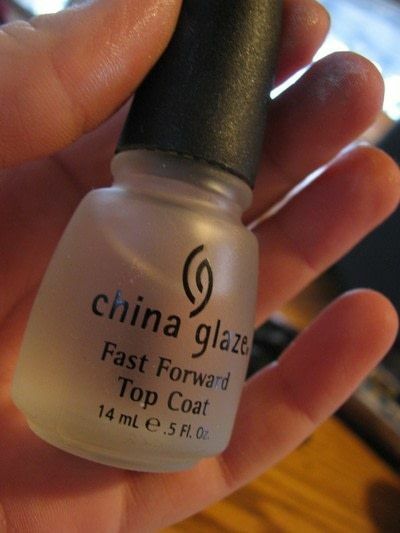 use an older paint brush you don't care about to pain the nail polish unless you don't plan to use your top and base coats again. It should be nice and glossy. Paint away! try and get it in every nook and cranny, and there are lots of them. The little brush it really good for this. Try to paint only one direction so it's less line-y. So now you have a silver skull, but it's too bright.... So get out your black paint and do the same as with the silver paint, get it into every crack, most importantly the eye sockets and the nostrils. 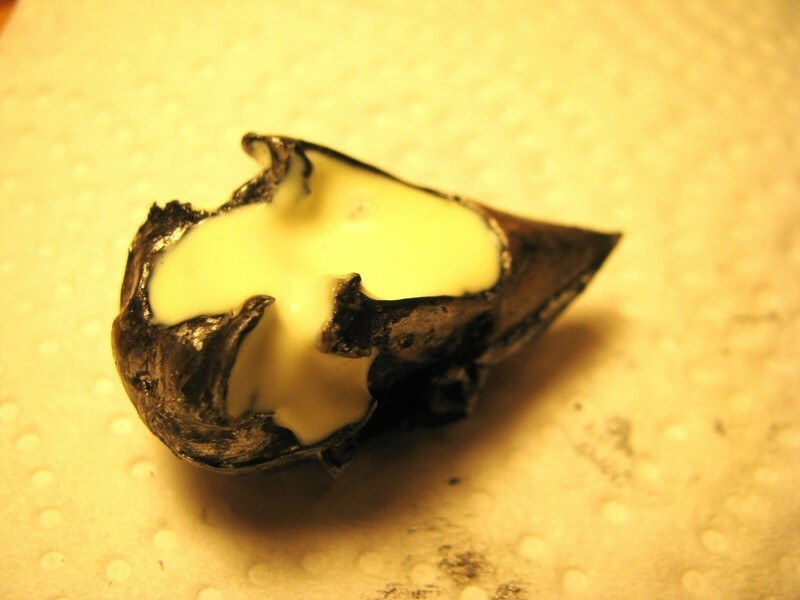 Before it can dry though, take a small piece of paper towel and wipte it off. ONLY WIPE ONE DIRECTION. 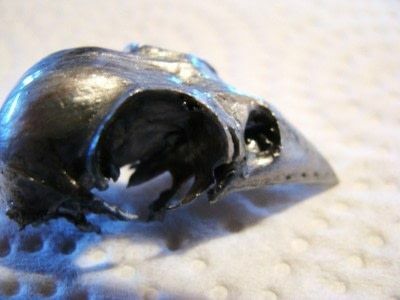 This makes it so the black stays in the cracks and details of the skull, but the rest stays a slightly darker silver. This last step is optional depending on whether or not you are using a real skull. Since I am, I need to fill up the major holes and white glue is what I have on hand. It would have been too fragile without. ^^ I have to let it dry, which with my glue takes about a week. ^^ I'll post the last half of the tutorial then. 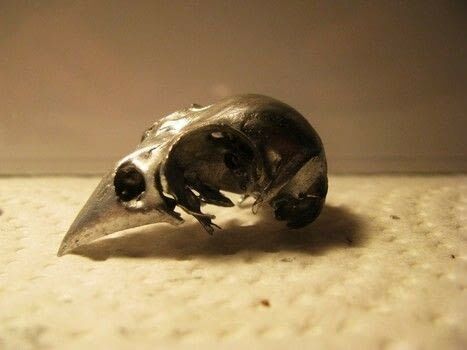 OK, I thought this was really cool until I realized that it was a real skull and then I was just creep out. It is still awesome though. Thank you for the skull preperation link, i've been looking for something like that. So far i couldn't get over cutting into corpses, but i hope i will soon, i love bones. Wow, amazing! I never find any skulls here unfortunately..
Hm, I haven't used a ring in this project, (that's in step two which is unpublished as of yet) I just used the clear coat of nail polish to add some shine. THAT RING..i cant understand this...that ring it was broken?? 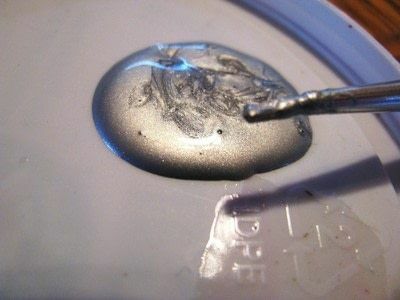 ..and reconstructed with nail polish?..uhm ok ok..i use too the nail polish for my jewellry..and it works! That is so wicked. Don't have any skulls on hand but I rather wish I did. This is really awesome. 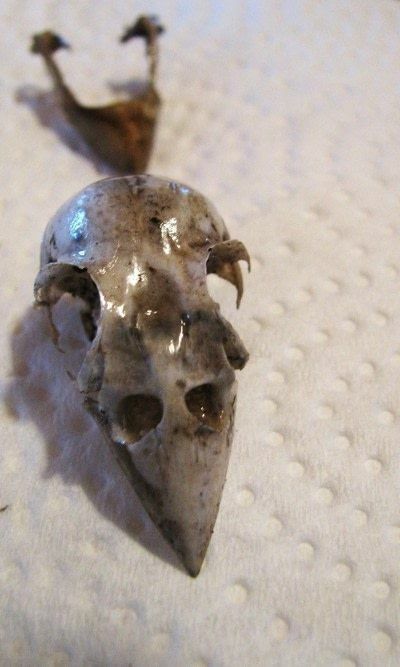 I love bones and skulls and things like that, and find them from time to time in my own backyard. It would never have occured to me to do anything like this with them though.